What a charming card. 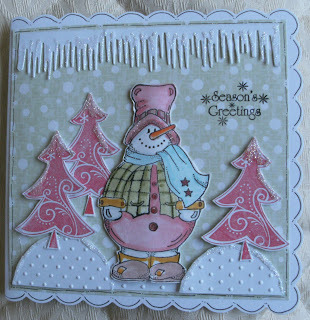 I lov ethe embossing and the cute snowman (or is it a snowlady). 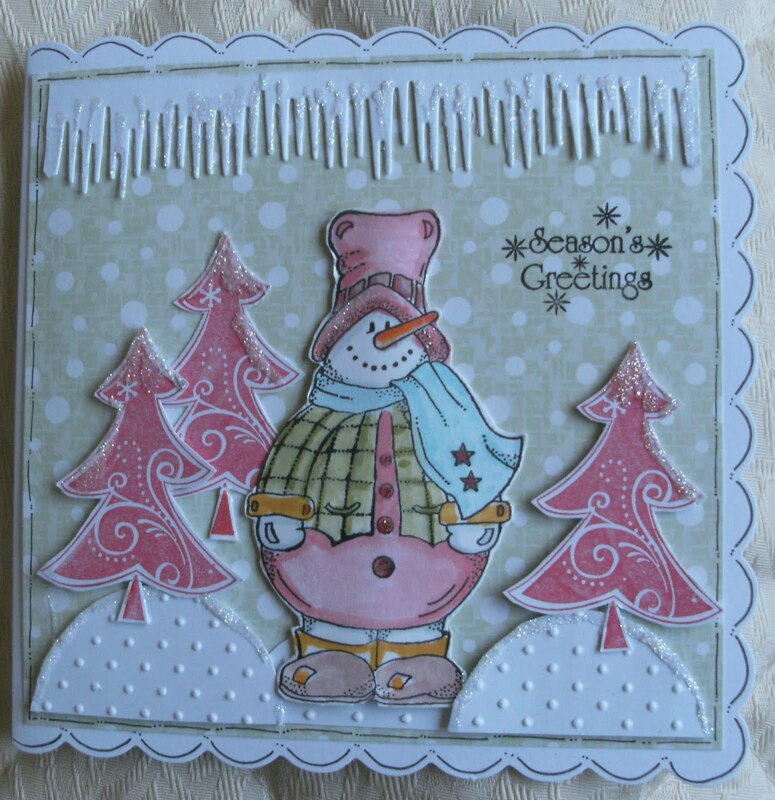 The scalloped edges are fabulous. So pleased you did well at the craft fair. I'm not surprised though as your cards are gorgeous. What a lovely card. The icicles are fabulous!! This is sweet, I like the colours. I absolutely adore this card. The colors, the design, the details...they're all just perfect.